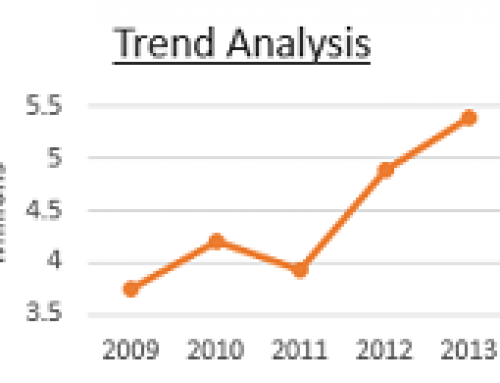 Tools For Data Analysis - ANALYSISTABS - Innovating Awesome Tools for Data Analysis! What are the available Tools for Data Analysis? This is the first question I asked myself when I decided to start my career in Analytics. I used to have lots of other questions like – Which software or tools should I learn to begin my career and grow in the field of analytics? And which is best software for data analysis?. You can understand – What to learn and where to start? In this tutorial I am going to discuss the different tools available in the market for data analysis. And the learning path – which should answer your questions like: Which tools I should learn? Where to begin?etc. The size of the data is growing rapidly at the same time we have lots of tools to deal with that data. We can categorize the software/tools based on the tasks and data that they can deal with. We can classify the available tools in the market based one request type (discussed in: Data Analysis – An Introduction) as Reports and Dashboard development Tools, Statistical Packages and BI Tools. Report generation and Dashboard development is a daily task for any organization. They want to understand the data on timely basis. They will generate the reports daily, weekly, monthly, yearly and ad-hoc reports and dashboards. 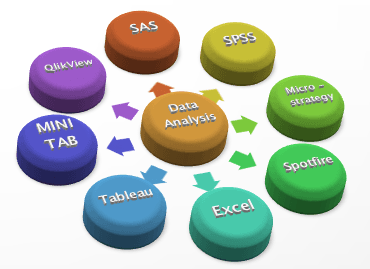 There are many tools available in the market like MS Excel, Tableau, QlikView, Spotfire. These tools are only for develop the reports and dashboards, they are also adding the capabilities or functionality to perform on statistical analysis. Excel is spreadsheet application. And we can say Tableau, QlikView, Spotfire are BI Tools. They have powerful engines to perform ETL. SAS and SPSS are the leaders to perform the advanced statistical modelling. We also have many other open source tools like R to perform statistical analysis. You have many bulit-in procedures and tools to deal with your data. You can do extracting the data, data cleaning, formatting the data, Tabulation and statistical analysis. And you can SAS and SPSS are BI Tools as they have very powerful modules to perform ETL. MS SQL Server, Oracle, SAP, Microstrategy, Spotfire, QlikView, SAS, SPSS Modeler are the leaders in this market. They can deal with large amount of data and perform the ETL and drill-down Analysis. We will see more about BI concepts in a separate topic. Almost every organization uses MS Office suite and Excel. Excel is an excellent reporting and dash boarding tool. We can develop rich visualized dashboards, simulation tools using VBA programming available in the Excel. You can basic statistical techniques for analyzing the data. You may use some other tool for performing advanced statistical analysis, you will still end up with using Excel for the reporting and presentation. 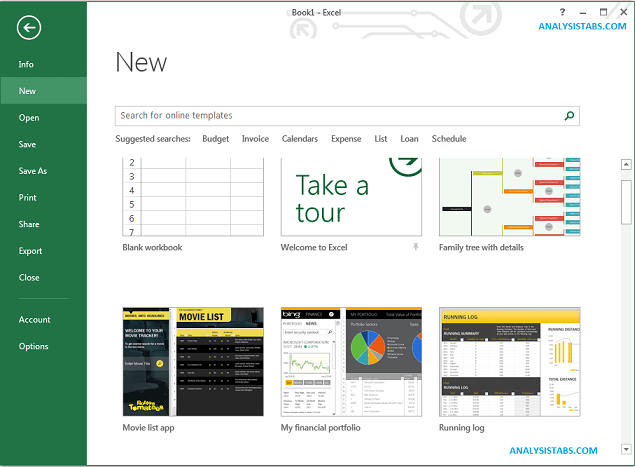 The built-in tools like Charts, Pivot tables, Add-ins and the VBA programming are making excel as powerful tool for reporting and dashboard and Tools development.The new Office 2013 added many new features for developing rich visualized dashboards. You can find more at Microsoft Office official site. I have used Tableau for developing dashboards and report. It is a very rich visualized dashboard development tool. It is very easy to prepare dashboards. 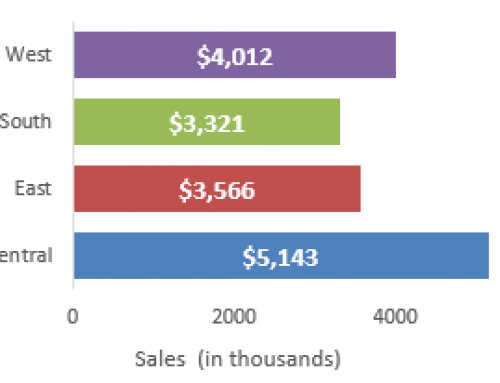 You have the different options and applications in tableau. 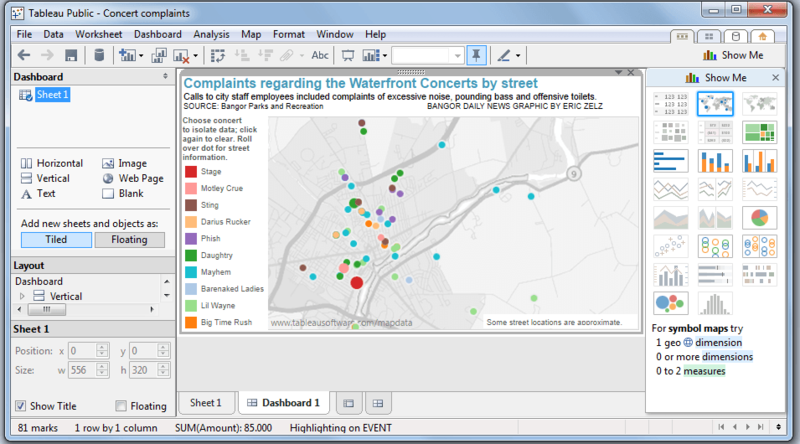 You can tableau desktop for developing the reports on your desktop. You can also use Tableau server to deploy your dashboards online , so that you can access from any where in the world. It is also providing a free version for public, you can connect to basic data sources like text, csv or excel file. recently they have enhanced data storage limit from 50 MB to 1 GB. so that you can around 1 million records. Another beauty of tableau is you can connect all types of database. You can visit official site of Tableau for more information. SAS is the leader in analytics world, it is the largest independent organization in the business intelligence market. It is the most commonly used software in the analytics, it has wide range of capabilities from data creation to advanced statistical analysis. It has many powerful and specialized module for dealing with different tasks like SAS DI, eminer, etc. Please visit the official site of SAS for more information. SPSS holds the second position after SAS in the analytics world. It has wide range of tools to deal with all kind of analytics problems. It has Data Collection platform Dimensions (Now IBM PASW) for survey analytics, and SPSS Clementine (Now Modeler) for data mining and text mining and SPSS Statistics to perform basic to advanced statistical techniques. Please visit the official site of IBM SPSS for more information. The following is the learning path, you can start learning from the basic excel to BI tool developed. The idea of launching this site is to help you in learning the skills required for your role. You may not to learn all the subjects mentioned here, you choose based on the projects you are handling and based on you professional goals. Good article with precise information….